This has been my favourite since I was a kid but I haven't found a good recipe until I tried this one. Segala pujian buat tuan punya resepi kerana kongsi resepi yang marbeles ni. I had success just in one trial (in the past most of my attempt in making kuih talam was not so satisfactory). Perfect texture & taste just like what it should be.... awesome!! A perfect texture is a bit gooey and yet firm & non-sticky to touch and as to the taste the top & bottom to be complementary to each other - moderately sweet bottom layer with creamy top...! 1. Heat up steamer. Grease tin. 2. Mix all bottom layer ingredients & steam 20 min. Dry surface with kitchen towel & scrape with fork. 3. Mix all top layer ingredients & pour on top of the bottom layer. Steam 30 min & open the cover & let the fire on for another 30 min to dry up the surface. Off fire & cool the kuih completely before cutting. Untuk Bahasa Malaysia, sila tekan link di atas. Place all ingredients in a pot & stir all the time until boiled & fish is cooked. I have a big jar of olives, so this is one of the ways to consume it..... a nice combination & my children like it. 1. Beat eggs and add in the rest of ingredients. 2. Heat up 2-3 tbsp of oil in a flat pan. 3. Pour in the egg mixture & when the bottom is cooked, flip to cook both sides.....ready! Saw this in Nor's house yesterday but postponed to today when both boys are at home for dinner (they go to tution class on Mondays). Nor said that the dish is delicious but I think it is super-delicious.... with really special aroma of the spices & herbs. Even a king will be impressed on this I think....hehe! # Lumur ikan siakap dengan limau nipis dan garam. Perapkan 15 minit. 1. Panaskan minyak dalam kuali, tumiskan bahan kisar, daun limau, daun pandan, daun kunyit dan serai sehingga terbit aroma. 2. Masukkan tomato dan kacau hingga layu. 3. Masukkan air, gula pasir dan garam. Masak sehingga matang dan mendidih. 4. Masukkan daun selasih dan ikan siakap. Masak sehingga kuah menyerap. 5. Sediakan alluminium foil yang telah digriskan sedikit minyak dan letak angkat ikan tadi di atas alluminium foil. 6. Tuangkan juga semua kuah pekat tadi rata-rata menyaluti ikan. 7. Bakar selama 30 minit dengan suhu ketuhar 180C sehingga ikan masak. Simple side dishes as appetite opener.... stir fry with little oil, some anchovies, big onion, chilies & preserved radish.... ready! Serve along other dishes or take with rice porridge instead..... very good! I had lunch at my good friend's house few weeks ago whereby she invited her friend (Kak Nor) to cook this special dish. This dish typically using fresh duck eggs (and my mum's cook this deliciously) but you will never find duck eggs in Miri hence she substituted it with salted eggs and it turned out fabulous...! However, make sure the salted eggs are not too salty and the mild type will be great. 1. Place all ingredients, except eggs, in a pot/wok & let it boil while stirring most of the times to prevent the coconut milk from curdling. 2. Poached eggs in it & do not stir until the eggs are done to avoid from breaking. 3. Serve with white rice....ummmh! Here is another version of wholemeal bread and this one uses tangzhong or water roux as bread softener. The bread is soft but with so much claim about the goodness of tangzhong, I do not find this recipe is better than the first version I tried here.... both are equally good but I will just go for the simpler one i.e. without the trouble to prepare for the tangzhong which is time consuming. 1. Place all dry ingredients in a breadmaker, followed by all the wet ingredients. Process until well mixed & drop in butter. Let it process until dough is ready. 2. Divide into 4 equal portions, cover & rest 15min. Flatten each & roll & place in a greased tin. Cover with plastic cling & let it rise until 80% full. Bake for 190C for 30 min or until brown (Orig recipe suggest 180C is too low for my oven). - Mix & heat over low heat & stir continuously until it reahes 65C or when traces of lines are visible. 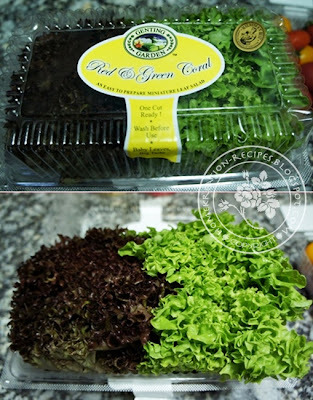 - Place in a bowl & cover with plastic cling to avoid skin from forming. - Cool to room temperature before use. - Can keep in fridge up to 2 days but ensure keep to room temperature before use. Waktu awal pagi tadi, Along sedang mandi nak siap2 pergi kerja. Tetiba telepon berbunyi, terus je Along melompat keluar dari bath tub sebab macam tak sedap hati bila ada call awal2 pagi. Talipon tu dari adik Along yg bekerja sebagai chef kat Kelantan. Rasa hati memang dah tak sedap. Dia kata dia call dari Kedah, so Along dah jangkakan sesuatu. His grandmother (we all panggil Tok) i.e. my step gandmother has passed away kat hospital Sg Petani malam semalam jam 12.50am kerana sakit tua dan pelbagai komplikasi (barah peparu). Jenazah allayarhamah telah selamat di kebumikan pada pagi tadi dan semua nya berjalan lancar. 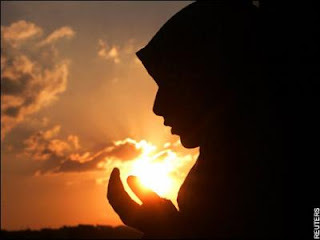 Sedih hati Along sebab tak dapat nak balik dan hari raya hari tu pun tak sempat nak melawat Tok Along tu sebab cuti yang amat pendek. Along hanya dapat hadiahkan al-Fatihah & al-Ikhlas untuk Tok yang di kasihi... semuga roh beliau di cucuri rahmat. 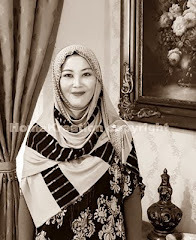 Mari lah kita sama-sama menghadiahkan al-Fatihah & al-Ikhlas untuk allahyarhamah Kijing binti Sudin.... Terima-kasih semua atas doa anda. I was in a mood to make bread again after such a long time ago. This Cinnamon Sticky Buns has been tingling in my brain calling for action since I saw it in one website many months ago. Anyway, hers look much more appealing than mine.... It is very filling but my two boys can afford to take two to three buns one time.....hehe, they love it! 1. Place all dough ingredients in breadmaker until dough is ready. If prepared manually, mix all --> knead --> let it rise until doubled --> punch the dough & ready. 2. Rest on floured board for 20 min. 3. Roll dough out into a 12" x 18" rectangle. Brush with melted butter and sprinkle with cinnamon-sugar mixture. 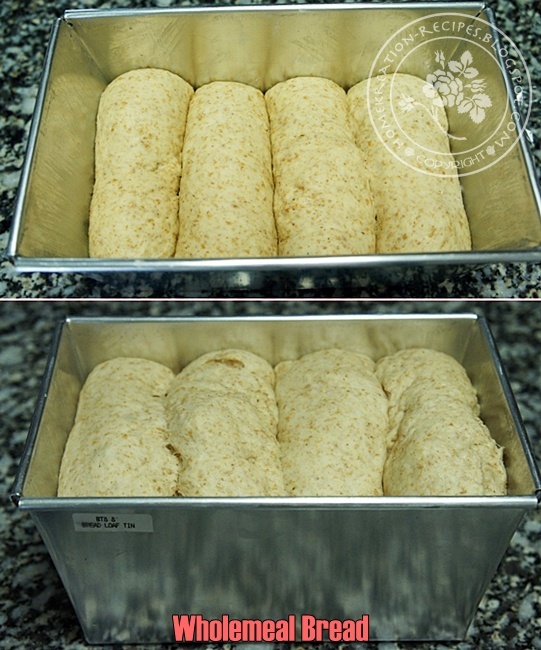 Starting with the long side, roll dough into a cylinder. Place seam side down on a flat surface and cut crosswise into 16 slices. 4. Combine all the topping ingredients, except pecan, in a saucepan over low heat. Stir until sugar and butter are melted. Pour mixture into a greased 10" x 12" pan and sprinkle pecans on top. 5.Place dough slices, flat side down, on top of prepared topping. Crowd them so they touch. Cover with plastic wrap, leaving room for the buns to rise, and refrigerate overnight. 6. 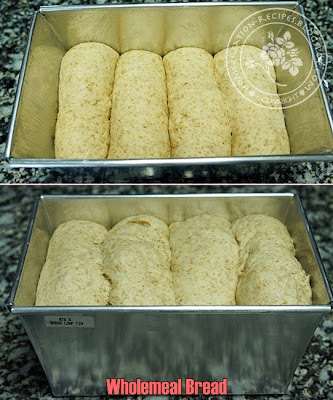 Remove the rolls from the refrigerator and let stand at room temperature while the oven pre-heats. Preheat oven to 180°. 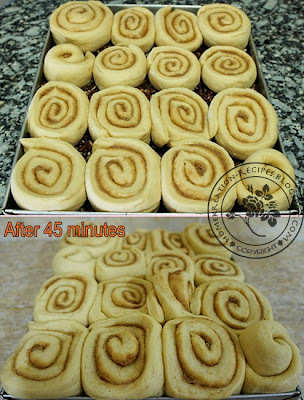 Bake buns until golden, 30 to 35 minutes. Remove pan from oven and immediately (and carefully as not to spill hot topping on your toes!) invert onto a serving tray or baking dish. Let buns cool slightly and serve warm. I saw DayangJack cooking beancurd in plum sauce just now and it reminds me of the plum sauce that I've bought ages ago and still sitting in the pantry untouched. Since I have some squids and capcicum, I've turned them into this delicious dish.... really yummy. 1. Heat up some oil & fry sliced garlic & ginger until fragrant. 2. Add in chili paste & fry or a minute. 3. Add in all the type of sauces & squids - stir fry until cooked. 4. Add in the remaining ingredients & stir fry for another few minutes. This has been in my to-do list for long time despite I already bought Nutella spread for the purpose. The spread is almost expiring and hence gives me no further excuse. This recipe produces lovely soft & tasty cake just like the one I tasted in my friend's house years ago. 1. Place all ingredients in a mixer bowl, except those marked*. Beat at high speed until thick & fluffy. Add in melted butter & mix well. 2. Divide into two portions. Add cocoa powder & choc paste into one portion. 3. Line & grease 10" sq tin (HomeKreation: I used one 10"x12" and one 8" sq tin). Spread the cocoa batter into the tin. Pipe the plain batter on top. (The batter is a bit runny, therefore you need to pipe on it. If you use scoop, you will not be able to spread it evenly to make two even layers and it will get mixed instead). 4. Bake for 15 min. Invert onto a piece of paper/towel. Wrap each roll & keep in fridge if not consumed right away. Breakfast this morning is still in the same theme from last last night.... tuna, salad & garlic bread....hehe. The boyz clapping their hands for this type of menu anytime whether day or night... they just love it. 1. Spread bread with garlic butter. Arrange tomato, tuna & cheese. 2. Toast below grill until golden brown & crispy. Top with salad & green olives..... have a bite...!! As promised earlier on, herewith the recipe. Still using the same dough recipe that I made earlier on. As for the topping, you can use your own creativity. I came up with this topping because I wanted to clear the pantry.... The whole family enjoyed it so much and to my surprise even Patma likes it (she does not normally likes western food and she has low intake of vegetables but this time she had two jumbo slices of pizza and enjoyed the Garden Salad too). 2. Punch the dough & roll to fill pizza pan. (I used 32" diameter pan & had some leftover dough which I turned into french roll). Brush surface of dough with olive oil & bake for 10 min. Top with canned spinach, big onion ring, capcicum, tuna, olives & mushrooms. Lastly, sprinkle mozarella cheese on top. 4. Bake for 15-20 min at 180C until cheese is melted & crust at the edge is golden brown. There was leftover dough from pizza making last night & I baked it into a small loaf of french bread & turned it into Cheesy Garlic Bread this morning. 1. Mix all & ready to use. 2. Spread generously on french bread. Sprinkle mozarella cheese (optional, for cheesy type). Grill in an oven until bread surface is light brown & crispy. Conscious of high daily intake of calories....? Once in a while let's turn to a healthy eating style, come join me for this simple but delicious Garden Salad with special Balsamic dressings.... for sure you will not feel like being a goat munching bunch of unflavoured vegetables...hehehe. 1. Heat up EVOO & stir fry garlic until golden brown. Pour olive oil & garlic into a salad bowl. 2. Add in the rest & mix well. Balsamic has anti-bacterial and anti-viral properties which make it an effective remedy for treating infections and wounds. Folk healers used balsamic to cure body pain and as energizer. Balsamic vinegar contains powerful antioxidant called polyphenols which fight cell damage and boost our immune system. The antioxidant in balsamic have also the potential to protect against heart disease, cancer, and other inflammatory conditions. Balsamic can help boost the activity of the digestive enzyme pepsin thus improving metabolism. Balsamic may help control diabetes. Study suggests that by adding as little as five teaspoons of the vinegar with a meal can improve insulin sensitivity. Better insulin sensitivity means better diabetes control and lowered risk of dangerous complications. Balsamic can reduce cholesterol level. Balsamic antioxidant may slow the aging process. Balsamic reduces the frequency of headaches. Balsamic contains important minerals that can strengthen the bones. Balsamic can help prevent anemia and fatigue. Balsamic can help suppress appetite and therefore an aid in controlling weight.